various enhanced training schemes for personnel to create a more dynamic working environment. It’s an impressive list, and these measures look like they’ll upgrade Australia’s existing border capabilities. However, there’s a caution that should be heeded. The development of the Blueprint for Reform, we’re told, included consultation with international partners, including the UK and the US, to understand areas of best practice and integrate good ideas into the reforms. This is certainly a logical process to follow, because nobody wants to re-invent the wheel, but it’s only sensible as long as those lessons include the mistakes that those countries made along the way, and there’ve certainly be many of those. The UK provides a case of study of both success and failure of similar programs and it’s important that Australia avoids the failures. Firstly, when looking at the development of trusted cargo schemes such as the ‘known consigner’ scheme which runs in the UK, EU and US, there’s no doubt that a degree of autonomy in applying security screening is sensible, as it allows businesses to operate quickly. To become a known consigner, a business has to meet a number of criteria  which include security measures taken at the site where cargo is screened, including perimeter security, staff vetting prior to employment and agreement to regular onsite inspections. Companies that adhere to these criteria and pass an examination can then processes their own security checks on import and export cargo. However, this process only works if standards are strictly maintained and enforced by the regulator and the company themselves. The frailties of this system in the UK  were highlighted in the aftermath of the attempt in October 2010 to blow up a bomb on a UPS cargo plane destined for the US. The UK Government inspected its known consignors and temporarily suspended UPS due to standards not being met. Another negative lesson to learn from the UK experience is regarding its e-borders program, which was intended to automate the UK’s airport (and eventually rail and sea) border controls through an e-gate system, and collect data of all passengers entering and leaving the country. The much vaunted program, originally estimated to cost £1.2 billion, was launched in 2007 by the then Labour government who promised full implementation by 2014. It’s been hounded by technological, contractual and organisational problems throughout its development and is still not expected to be fully functioning until late in the decade. Upon inheriting the project, in 2010 the new government cancelled a contract with Raytheon, one of the suppliers to the £750 million project, as they claimed that the company were ‘unable to deliver key elements of the program ’. Raytheon are now suing the government for £500 million on the grounds of unlawful termination. It’s a messy business that’s only going to get messier as the case proceeds. In the meantime, passengers remain frustrated with the frequently misfiring automated systems and long queues. Hopefully, Australian Customs will manage to avoid such difficulties and will have already been sufficiently briefed on this program by the UK.I If not, they should ask to be. Finally, Minister Clare mentioned that there’s the potential for Australia to merge various agencies with a responsibility for border control into a single agency, responsible for all front line border management issues. This worryingly reminded me of the much maligned UK Border Agency (UKBA) established in 2008. It was intended to bring together different elements of the UK’s border functions; the Border and Immigration Agency, UK visas and the detection functions of HM Revenue and Customs. It was hoped they’d share data and intelligence more effectively, speed up the arrival and departure of people and goods at the border, and generally raise the standards of UK border control. The result has been akin to a slow-motion car crash, with the current backlog of asylum and immigration cases standing at some 312,726 cases— estimated to take 24 years to clear. In 2011, identity checks were relaxed to avert long queues, leading to the sacking of the agency Head and the partial splitting of the agency. Most recently, it was announced in March this year that the UKBA would be disbanded and bought back under the control of the Home Office due to it being ‘too big, not transparent enough, having failing IT systems and struggling to operate within existing legal frameworks’ . This is all pretty damning, but provides Australia with a blueprint of how not to do things. One hopes that these lessons have been learned. Let’s not forget that the UK began their program of custom and border control changes with as much positivity as was displayed in the announcement here last week. Hopefully Australia’s implementation and delivery will be better. 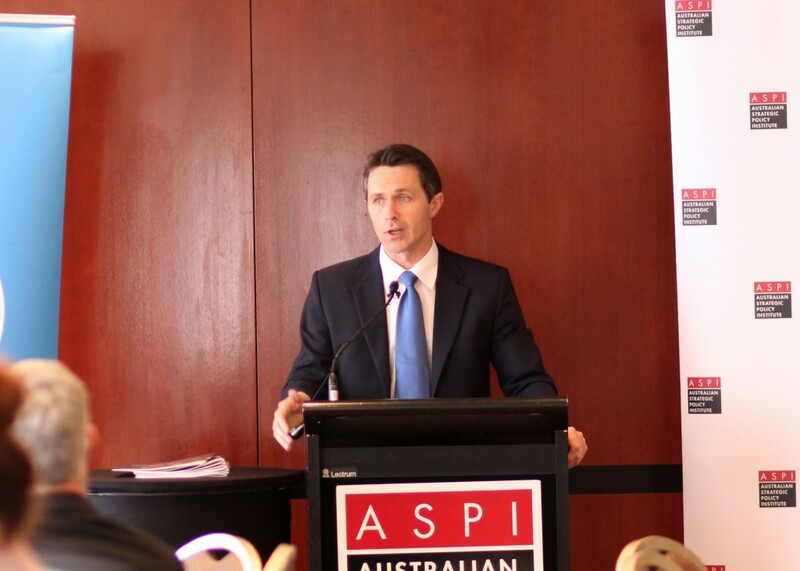 Tobias Feakin is a senior analyst at ASPI. Image credit: Cassandra Joyce.